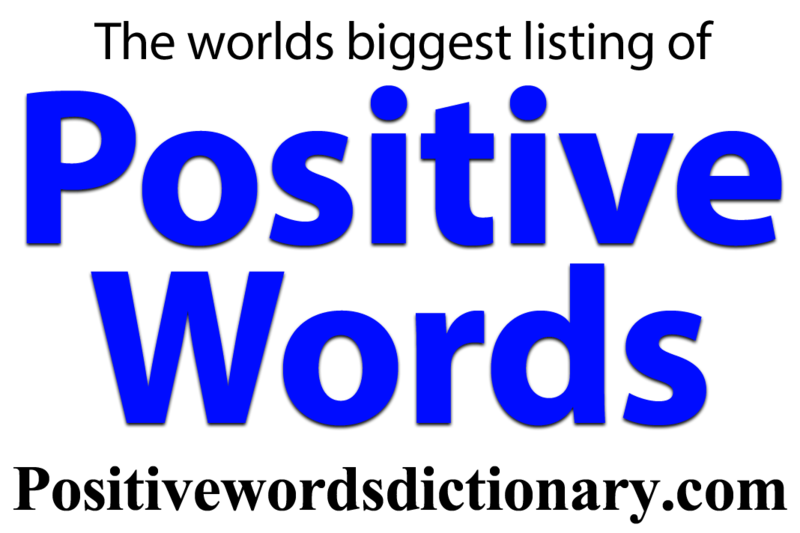 The website located at https://positivewordsdictionary.com/ is a copyrighted work belonging to The Positive words dictionary. Certain features of the Site may be subject to additional guidelines, terms, or rules, which will be posted on the Site in connection with such features. All such additional terms, guidelines, and rules are incorporated by reference into these Terms. Notice Requirement and Informal Dispute Resolution. Before either party may seek arbitration, the party must first send to the other party a written Notice of Dispute describing the nature and basis of the claim or dispute, and the requested relief. A Notice to the Company should be sent to: Victory House, Da83bl, Kent United Kingdom. After the Notice is received, you and the Company may attempt to resolve the claim or dispute informally. If you and the Company do not resolve the claim or dispute within thirty (30) days after the Notice is received, either party may begin an arbitration proceeding. The amount of any settlement offer made by any party may not be disclosed to the arbitrator until after the arbitrator has determined the amount of the award to which either party is entitled. Copyright/Trademark Information. Copyright © 2017. All rights reserved. All trademarks, Definitions, word lists, logos and service marks displayed on the Site are our property or the property. You are not permitted to use these Marks without our prior written consent or the consent of such third party which may own the Marks.